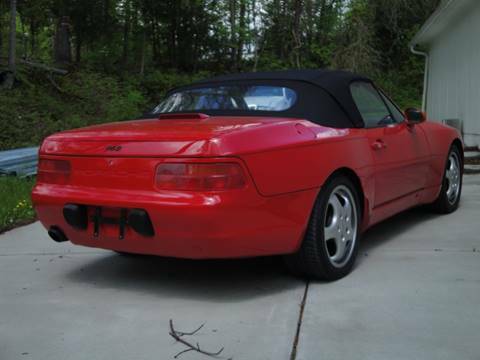 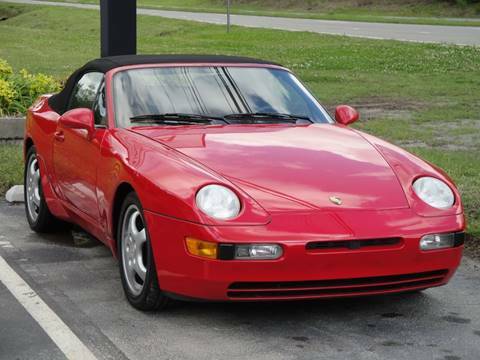 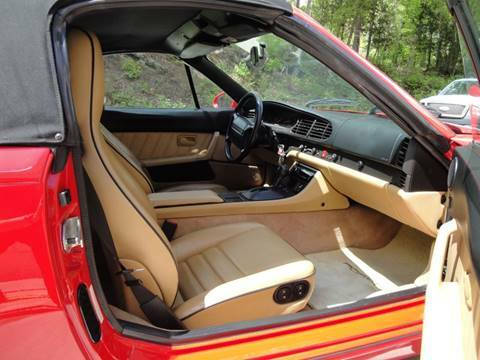 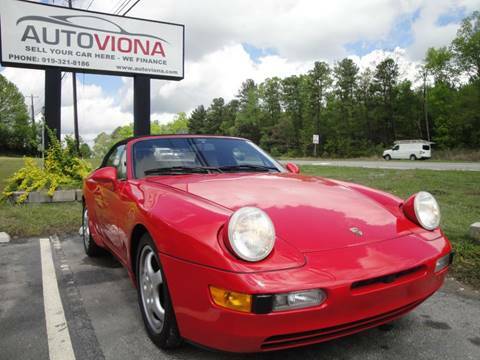 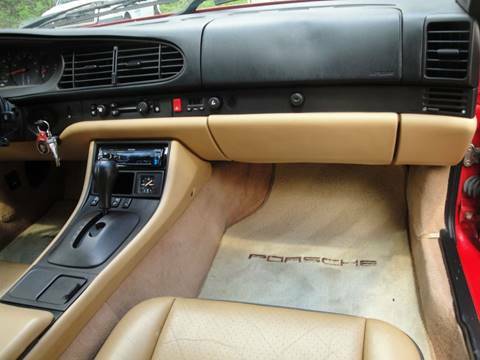 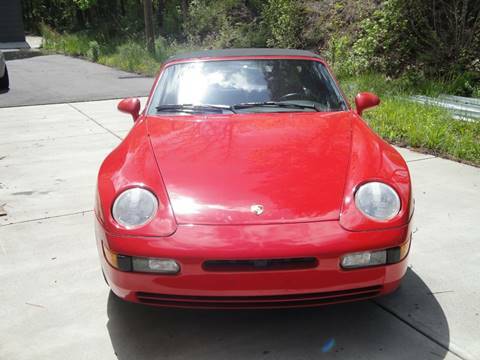 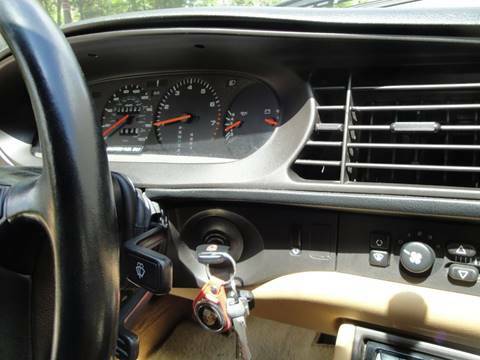 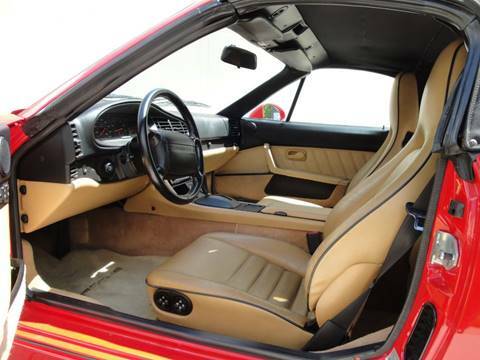 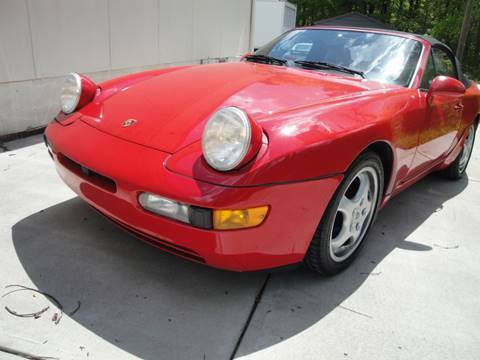 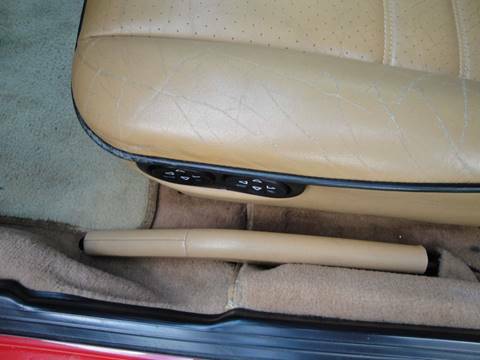 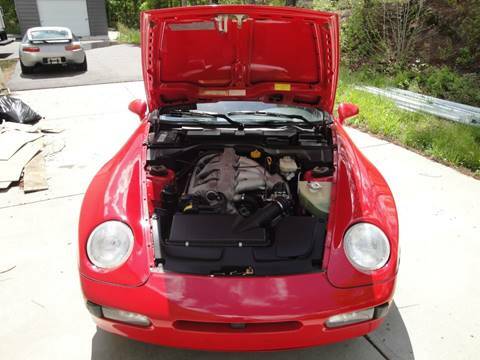 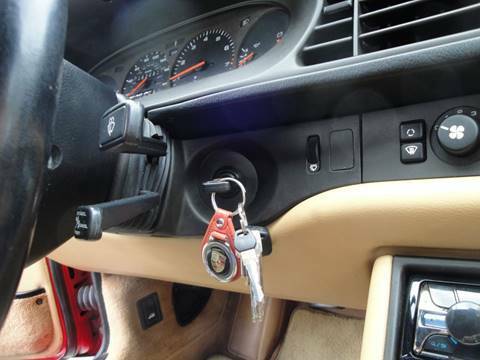 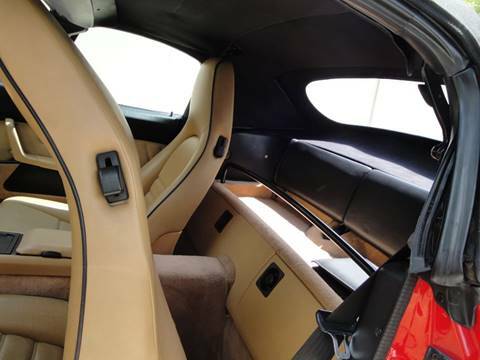 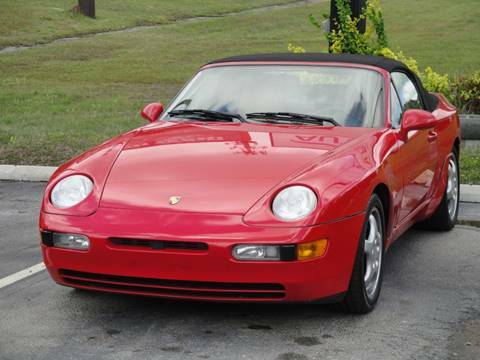 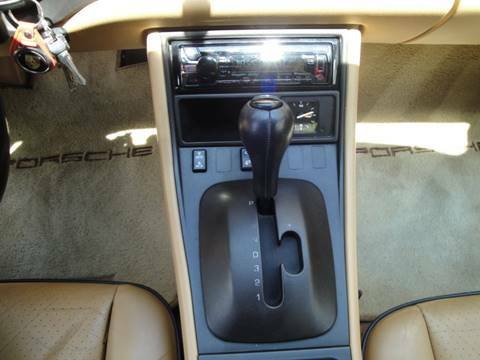 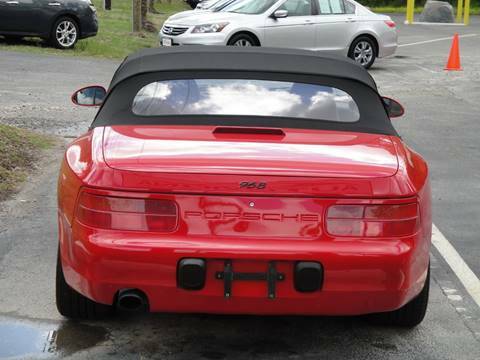 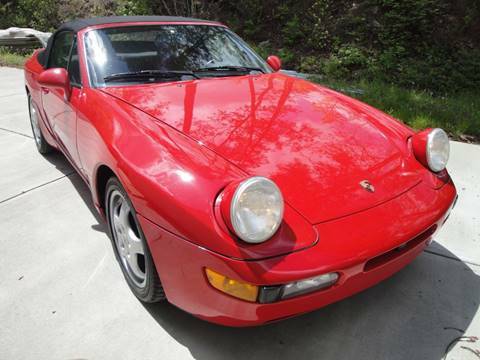 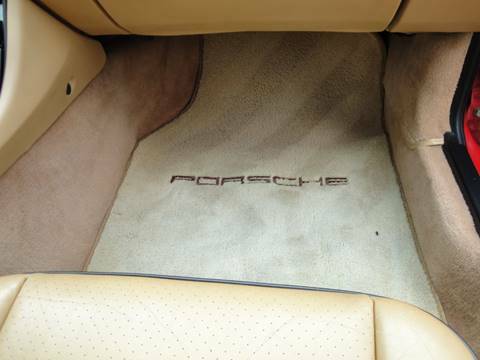 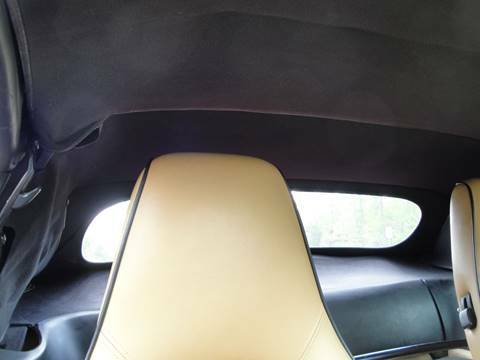 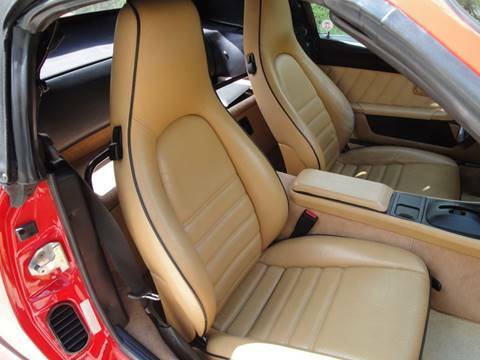 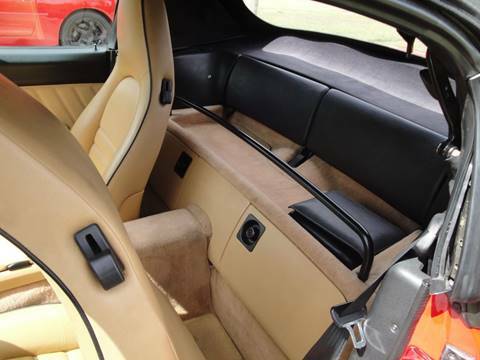 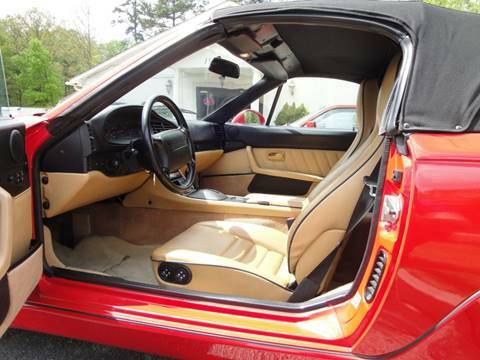 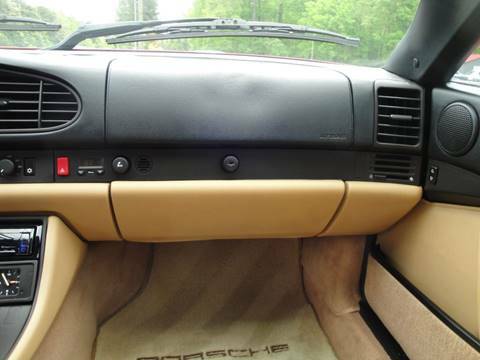 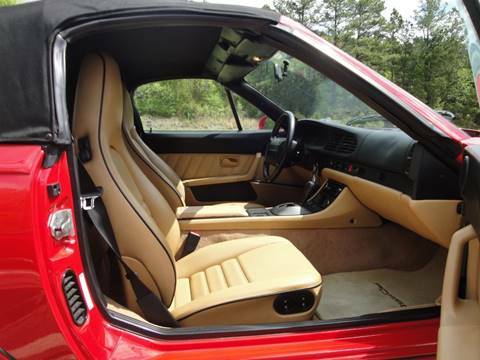 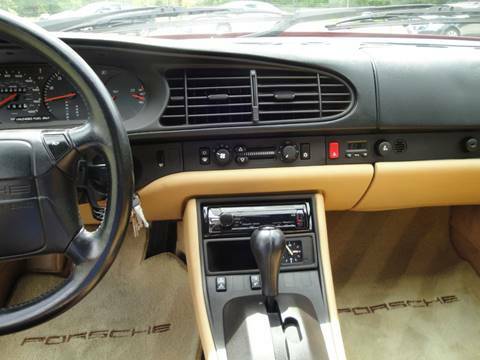 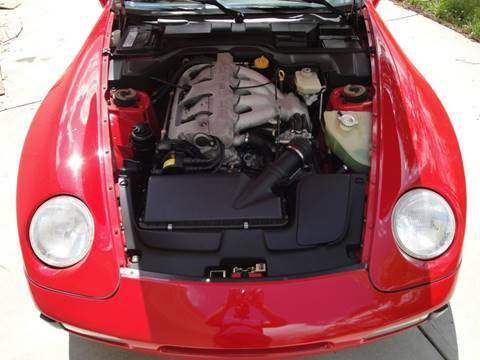 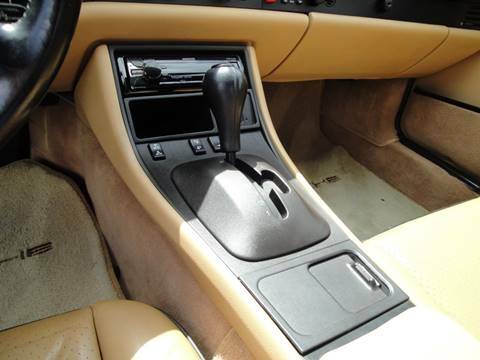 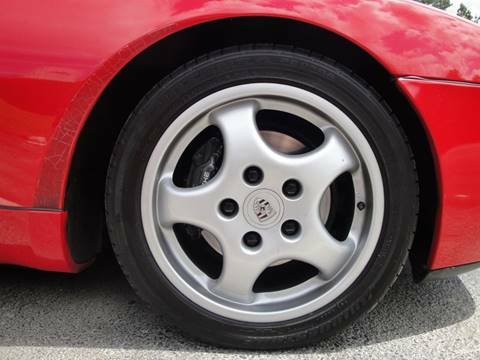 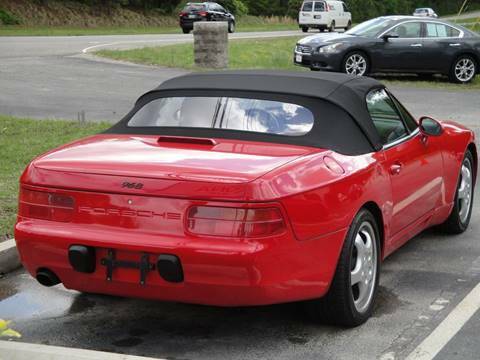 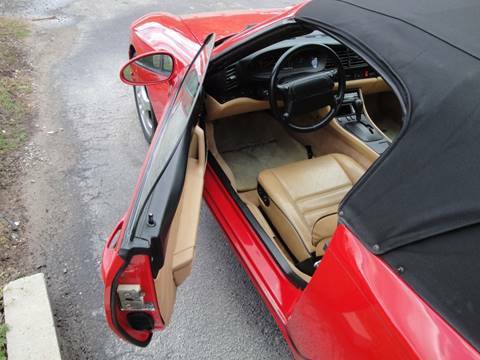 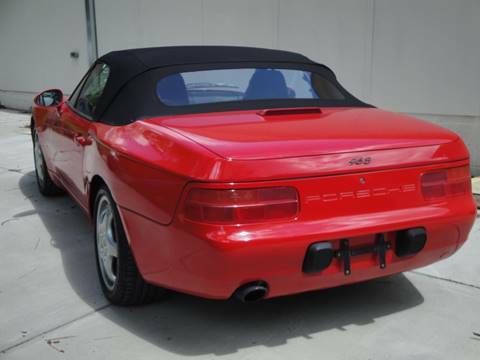 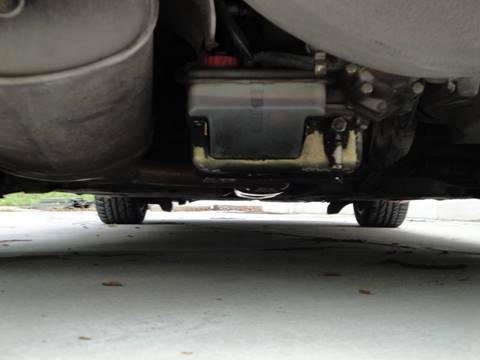 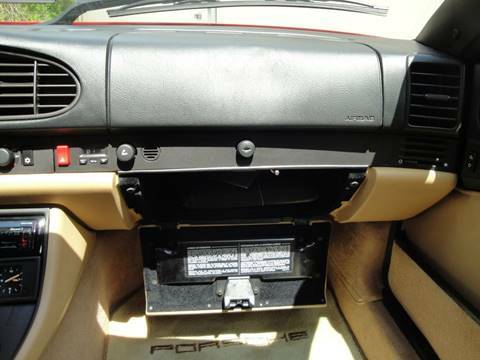 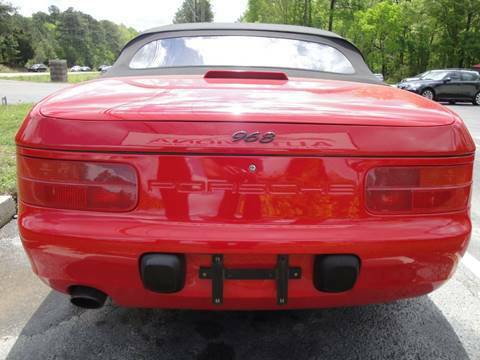 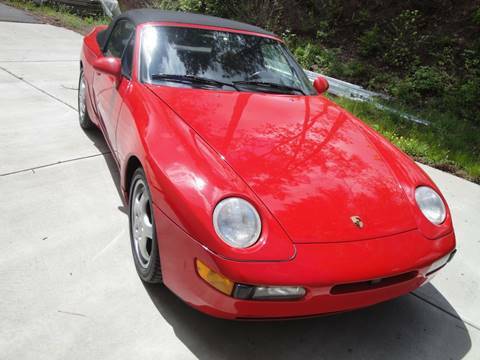 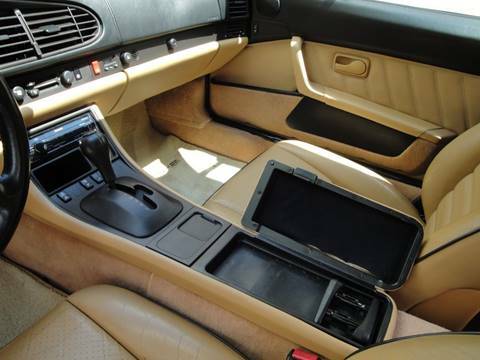 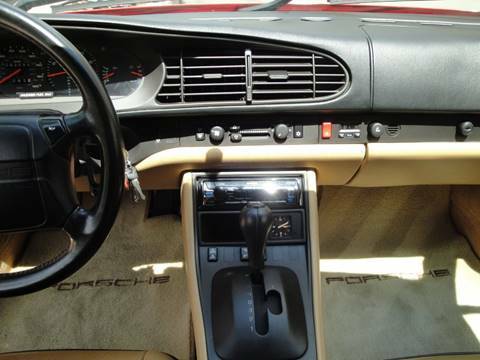 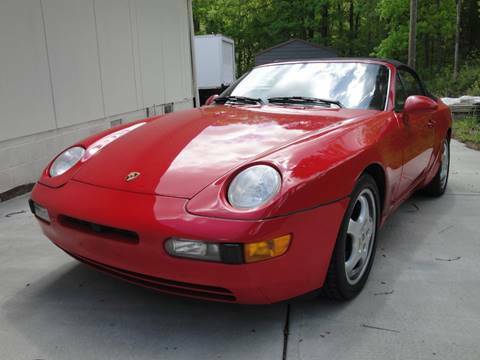 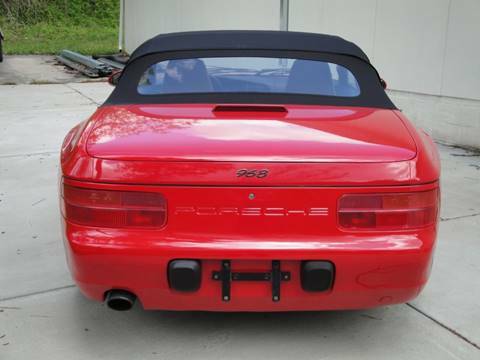 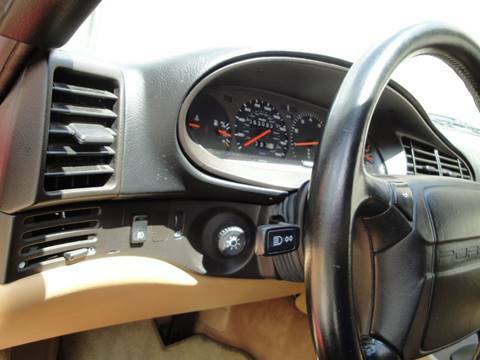 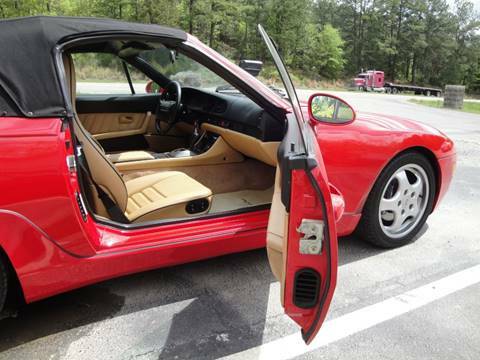 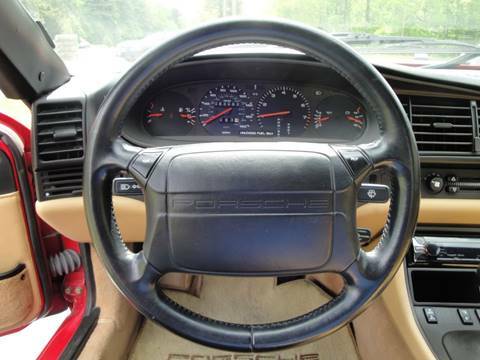 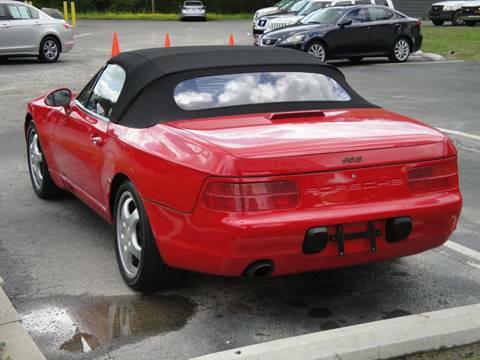 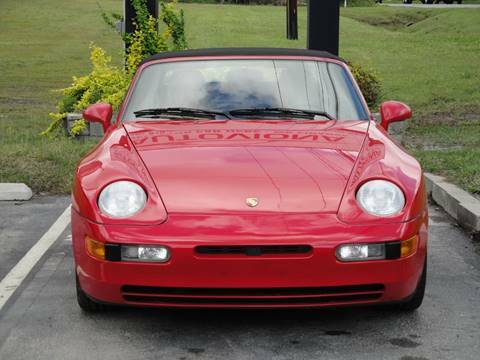 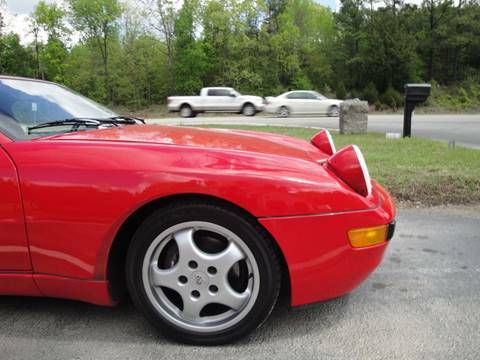 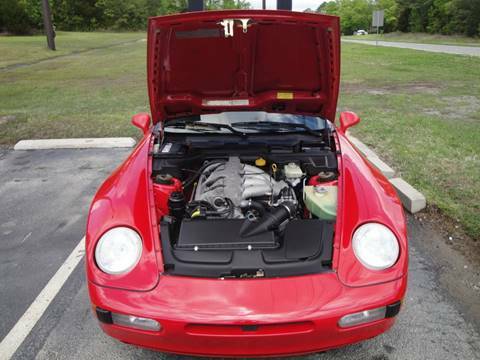 Low Mileage (63,093),1994 Porsche 968. 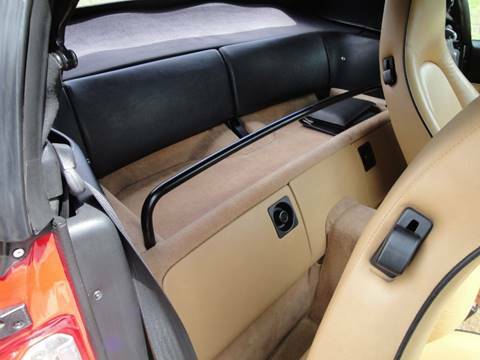 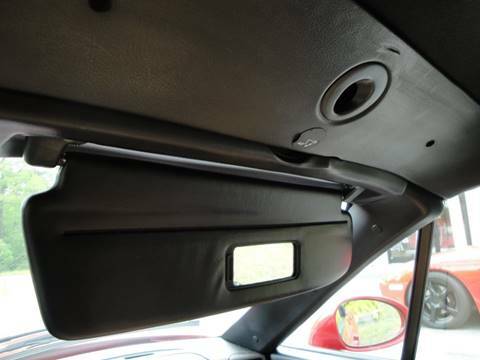 Everything works as it should, including Power Convertible Top, Electric windows are very fast, Power seats works as it should, AC is Ice Cold and Heat also works exceptionally well. 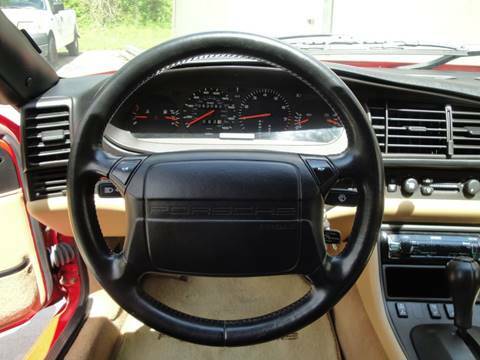 Cruise control works as it should. 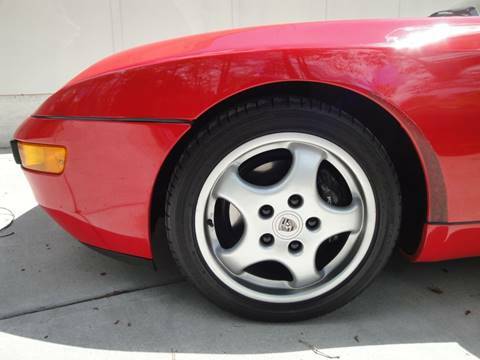 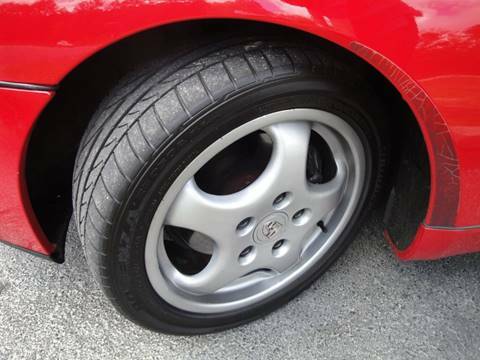 Very Rare Optional 17 inch Cup Style wheels from the factory, with great tires on the car. 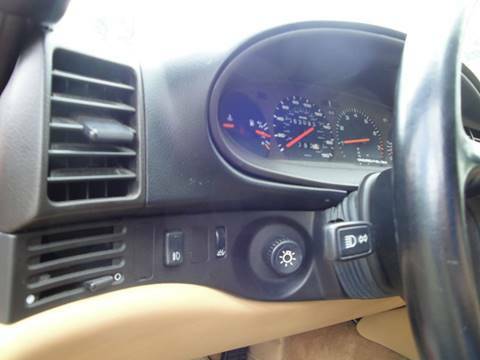 Engine runs great and pulls very strong thru out the rev band to redline. 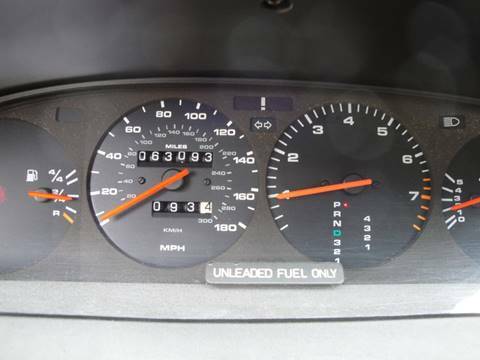 Great oil pressure, recent oil change and new air filter, power steering fluid changed and new wiper blades. 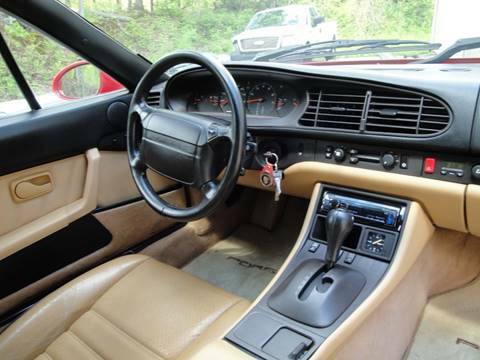 Interior is in excellent shape with the only non stock item a replacement radio (Kenwood), which sounds and works perfect. 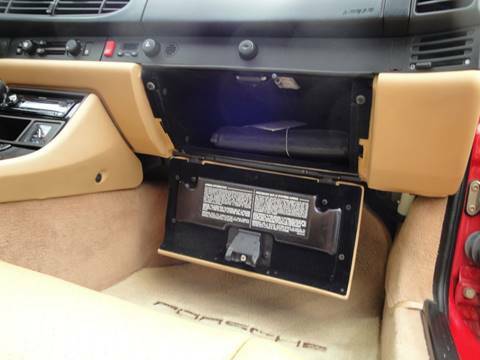 All speakers in stock locations with no cuts at any location in the interior. 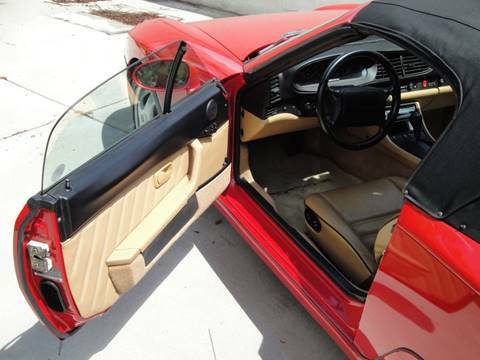 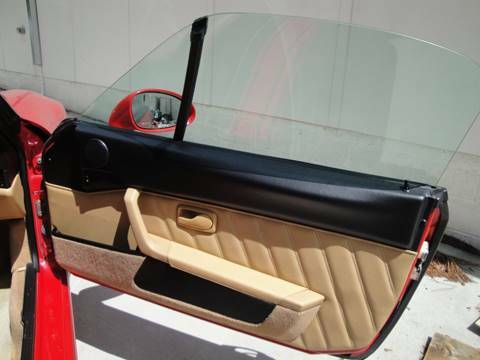 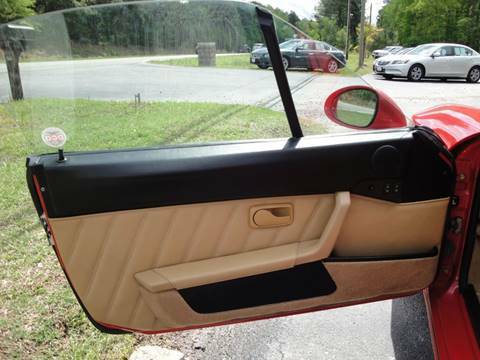 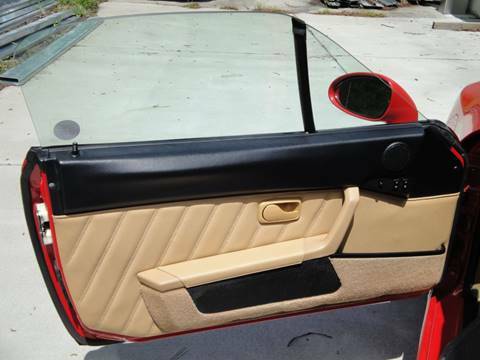 Exterior paint looks fantastic and shows that it was a garaged car its entire life. 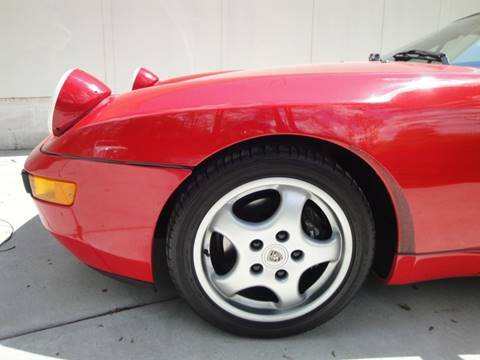 No real dents or nicks in paint, original paint never hit and well cared for. 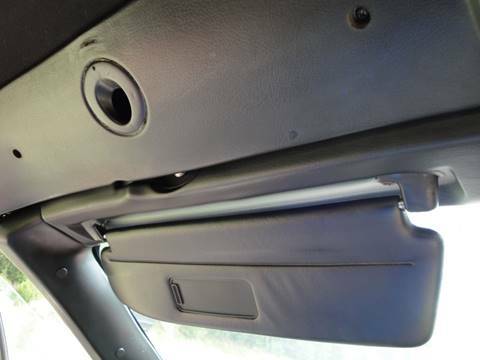 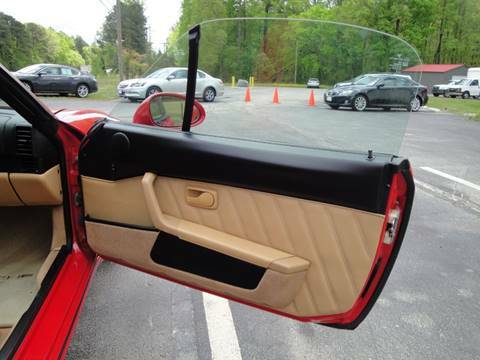 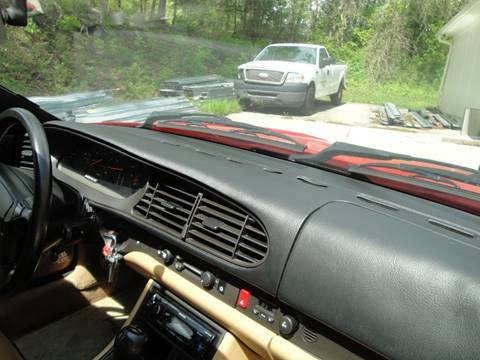 Doors and hood and truck look fantastic and open and close perfectly. 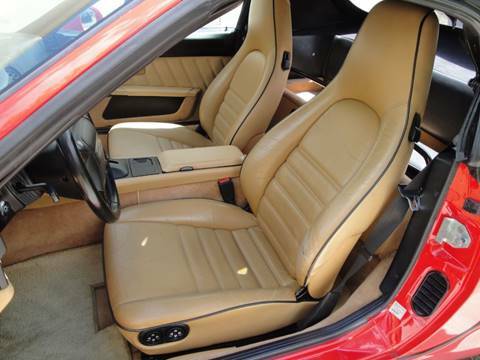 Top is in overall good shape and appears to be a very well cared. 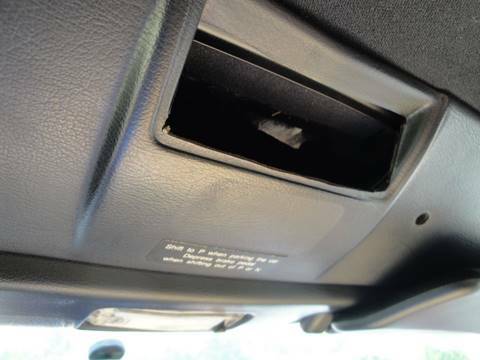 No crack on dash. 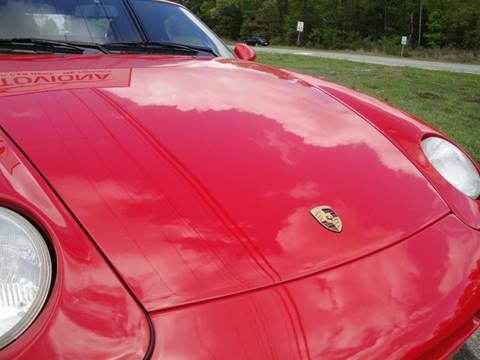 This car has clean title. 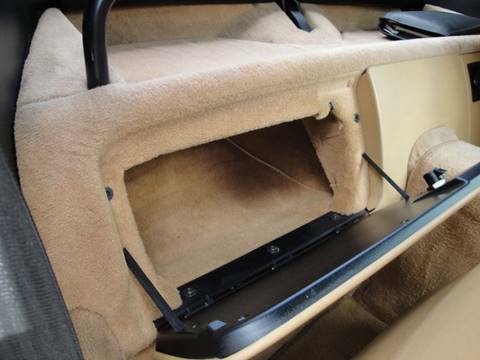 No Accident and No other damages reported to CARFAX. 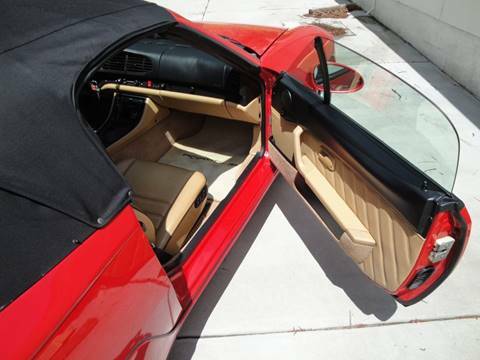 Owner's Manual, Maintenance book, warranty book is included. 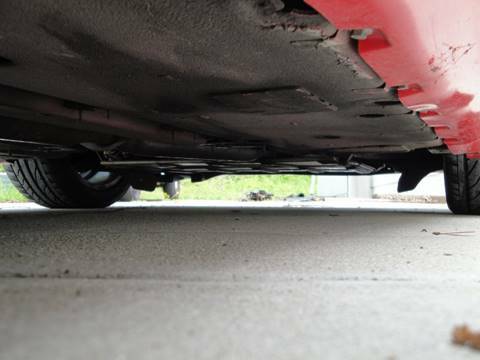 There are no proof of when timing belt last replaced; however, looking through the inspection hole the belt looks fairly new. 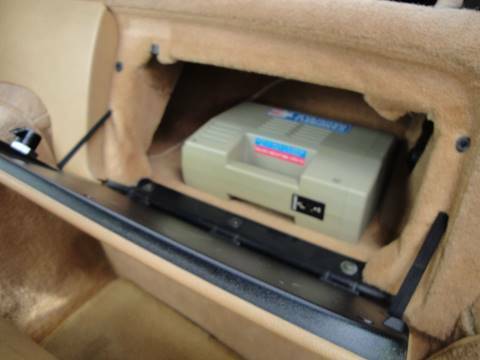 All shipping charges are buyer's responsibility. 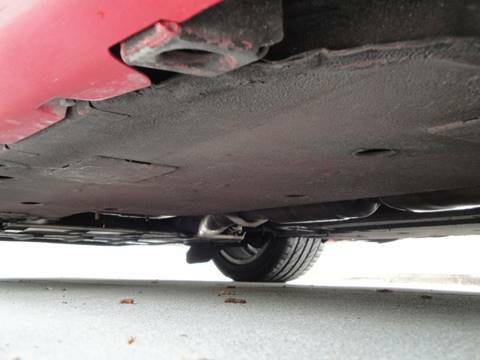 Buyer is responsible to pickup the vehicle. 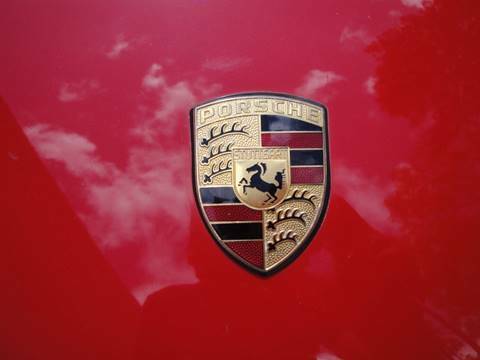 A $399 document fee will be added to the sales price. 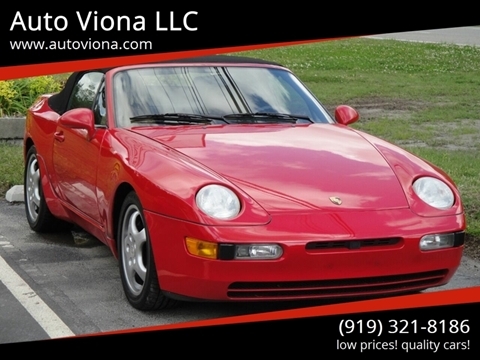 All purchases may be subject to any applicable tax, title, and licensing fees. 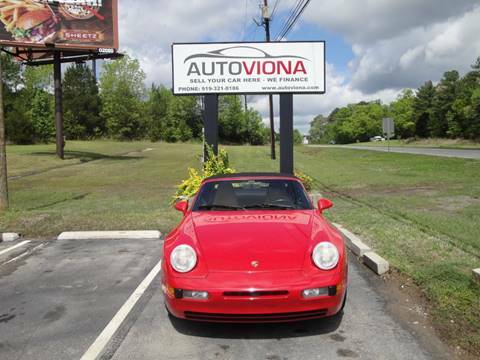 Taxes are subject to location of vehicle and buyer's place of residency. 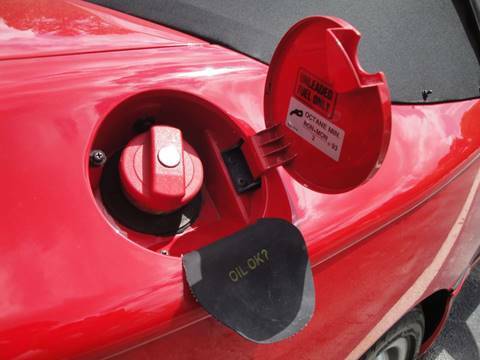 Buyer is responsible for taxes paid.